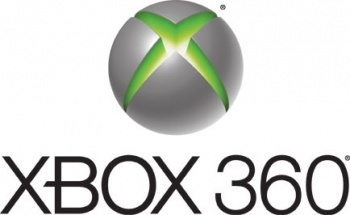 Microsoft needs to get paid if it's going to allow Xbox 360 users to access the internet. In his weekly video feature on GameTrailers, videogame industry analyst Michael Pachter gave his thoughts on why the Xbox 360 doesn't have a web browser, despite the Sony PlayStation 3, the Nintendo Wii, and even the Nintendo DSi touting one as a prominent feature. It's primarily because Microsoft's goal is to own the internet. Pachter says that the Xbox 360 will "never" include a browser "because Microsoft's vision when they made the original Xbox was to own the internet." The basic idea is that Microsoft doesn't want you going outside of their box unless it "controls your access." Microsoft allows users to visit Facebook, Twitter, and Netflix, because they "aren't actually going to those sites," says Pachter. "You are going to a Microsoft-controlled site where they know exactly what you are touching." This level of control held by Microsoft comes down to the company being "all about making money." Eventually everything users do through the Xbox that involves the internet and payment will additionally enrich Microsoft, including purchases on Amazon.com and such. "Microsoft is going to end up charging you for everything you do, but they won't charge you; they'll charge the person you're paying," predicts Pachter. On a similar topic, Pachter said there is "no chance in hell" of games becoming download only anytime in the near future as long as consoles don't require 100% of users to connect to the internet. He guesses that the Xbox 360 has about "two-thirds" of users connected, with the PlayStation 3 at around 85%, and the Nintendo Wii at 50% or lower. Until those percentages are higher, brick-and-mortar videogame stores will continue to exist and remain a necessity. Half of all household don't have wireless internet after all, and it's a pain to get that console right next to a router to run a wire most of the time.